I mentioned a few weeks back in my Caprese Pasta Salad post that I had helped to host a baby shower for my friend Ashley. 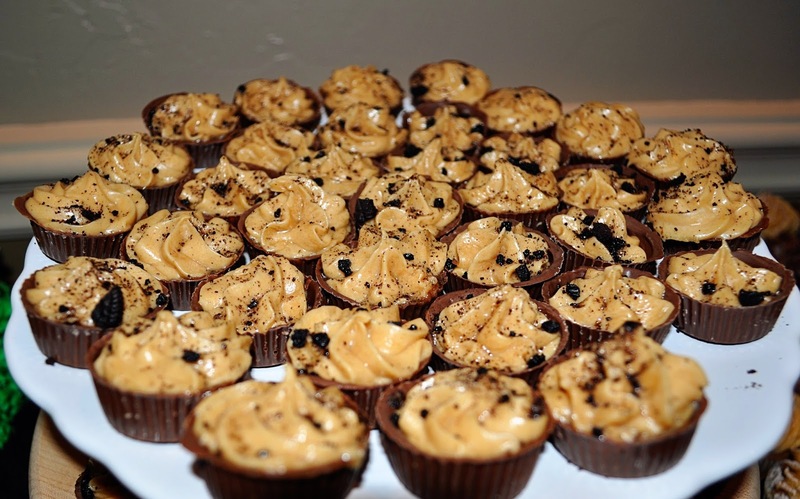 One of the little bite-sized sweets that I decided to serve was mini chocolate cups filled with peanut butter mousse. A few friends were so excited about learning how to make these as well as my chocolate warming trick that I thought I would share with y'all too! I would never admit that I tried this if it hadn't worked and yes, my husband thought I had gone crazy, but that was before he saw it working awesomely (thank God!) and began admiring my ingenuity rather than diagnosing my insanity. I grabbed my "Scentsy" style warmer and took the top plate off (the part that holds the wax) and placed my glass bowl of chocolate coating over the light instead. This was perfect! It didn't get too hot that the candy overheated and it did not get too hot to handle (for me - be careful testing this for yourself), it was just right. As it got low, I even added a new block of candy and let it melt slowly as I continued working. Even when the candy coating hardened on my brush when I'd get distracted, which I always do, I would just brush it around the inside of the glass bowl and the heat would melt it right back down. I don't know what kind of projects you love to do that require melted candy coating but if you have a Scentsy style wax warmer...try this trick to keep your chocolate hot and ready! And yes, they sell official chocolate warming thingies somewhere I'm sure, but on a whim and without having to store another piece of junk I'll rarely use, I'll stick to my Scentsy. I love dual-purpose! 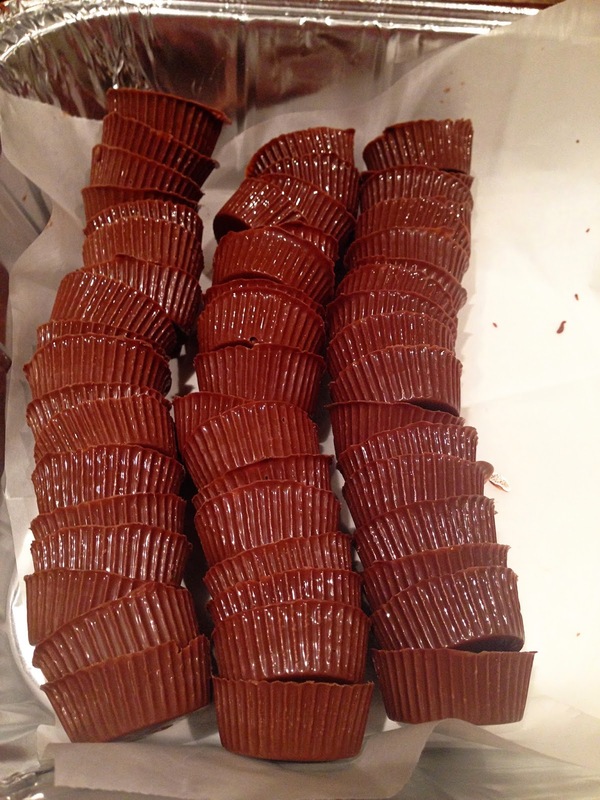 Here are my little chocolate cups...notice that the inside of the cups aren't as pretty as the outside. The inside will be hidden by whatever yummy filling you choose! These are adorable! What a clever idea :) Thank you for sharing!